Pen and Paper: INTRODUCING IN60LEARNING.COM WITH REVIEWS OF CHARLEMAGNE: FATHER OF THE FRANKS AND HATSHEPSUT: PHARAOH-QUEEN OF EGYPT. INTRODUCING IN60LEARNING.COM WITH REVIEWS OF CHARLEMAGNE: FATHER OF THE FRANKS AND HATSHEPSUT: PHARAOH-QUEEN OF EGYPT. Intrigued by an email sent to me by the co-creator of new publishing brand in60learning who produce concise historical and biographical works (science and technology titles are on the way) that can be read or listened to in 60 minutes I jumped at the chance to pick the below books from this impressive selection to read/review. Available in paperback as well as on Kindle and audio formats. I have linked to amazon.co.uk but the books are available on other amazon sites. Received with thanks from the publishers, neither book was read for a book challenge. CHARLEMAGNE: FATHER OF THE FRANKS, LEADER OF THE LOMBARDS, AND PREMIER HOLY ROMAN EMPEROR. Charlemagne’s name means “Charles the Great,” a title he earned after an impressive life filled with military conquests. After the fall of the Roman Empire, invaders came from all sides, and Charlemagne fought out of loyalty to his people and the Catholic church. While he led many campaigns that helped to reunite Europe during the “Migratory Period,” Charlemagne primarily aimed just to claim land where he and his people—the Franks—could live in peace. His life inspired countless tales, including the legends that he was twenty feet tall, that he slept under the guard of 100 armed knights, and that he rose from the dead to aid in the Crusades. 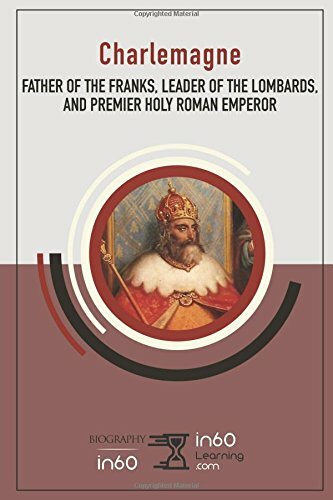 While these fantastical tales are false, the truth is equally fantastic: by the end of his life, Charlemagne had been king of the Franks, king of the Lombards, and the first emperor of the newly formed Holy Roman Empire. Charlemagne was larger than life. HATSHEPSUT: THE PHARAOH-QUEEN OF EGYPT. Hatshepsut is the most famous native-born Egyptian to become a female Pharaoh in Egypt. - First Sentence, Chapter 1: The Rise Of A Queen. MY THOUGHTS ... Read within 60 minutes (less if, like me, you happen to be a fast reader). Easy to digest, both books, ideal as revision notes, provided a superb introduction to their subjects. Perhaps the less strong of the two books. A bit repetitive in places, its 'Conclusion And Summary' adequately summing things up in just over a page, and I came away feeling I knew as much about the times in which he lived as about the man himself. But still, in just over 30 pages, and with everything from the 'Facts and Fiction in the Early Wars' through to 'Charlemagne's Accomplishments and His Death' by way of his role as 'Holy Roman Emperor and Educator', this provided a useful insight. 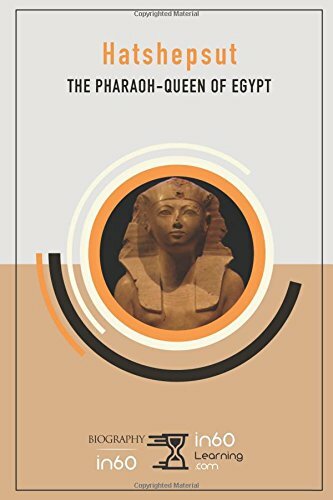 Say Pharaoh-Queen to most people and they'll come back with Cleopatra so it was nice to see an account of Hatshepsut, one of the most successful female leaders in history. To my mind a more informative read. With chapter headings such as 'The Rise of a Queen', 'Ruling the Land' and 'Hatshepsut and the Gods', at 44 pages slightly longer than Charlemagne, I found this edition of in60 more compelling. Admittedly perhaps more to do with my interest in the subject matter to begin with but, less repetitive, I found myself engrossed and totally fascinated by this account of a woman who alas (and undeservedly so) is generally speaking far less well known than Cleopatra. Like the concept? Sign here to join the Learning List and Receive the First 2 Chapters of Alexander the Great: Student of Aristotle, Descendant of Heroes. This sounds like a great idea and I like that the subject matter is so varied. It will be interesting to see what is added over time. Interesting concept! I'm glad you enjoyed the Cleopatra book. Though I tend to like to dig deeper into history, these seem like neat introductions. Both Hatshepsut and Charlemagne are people that I want to know a lot more about.